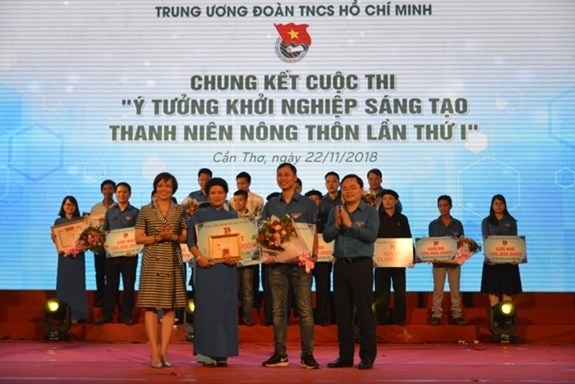 Nguyen Thi Lan Huong, deputy head of the high-tech farming club and head judge of the contest, said 10 of 179 projects submitted by youths across 52 provinces and cities nationwide were selected to compete in the final. She said the projects apply technology to boost tourism growth and promote clean lifestyle and clean food. The first prize of the contest went to the “Green Blessing”, a project on cultivating organic vegetables in line with responsible tourism by Hoang Thi Hao, Khuc Ngoc Huy, Dinh Hong Diep and Bui Xuan Truong from the northern mountainous province of Ha Giang. The group worked to develop a tourism model where tourists are treated to safe and clean farm produce, meditation sessions and resort services. They won 50 million VND (2,150 USD) in cash and a maximum loan of 1 billion VND (43,000 USD) from the national fund for employment. 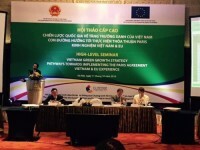 A three-member group from the central province of Thanh Hoa and Nguyen Thi Anh Thi the Mekong Delta province of Dong Thap secured second prize for their respective projects on the making of herbal rice and trapa natan products. The prize meant 30 million VND (1,290 USD) and a loan of up to 500 million VND (21, 401 USD) for each winner. The third prize winners were Tran Trung Hieu from the Mekong Delta province of An Giang for a project on production and services that support agricultural development; Ben Chi Thinh from the Central Highlands province of Kon Tum with his dang shen processing project; and a seven-member group from the northern province of Tuyen Quang with their project on youth cooperatives and community-based tourism. The third prize came with 15 million VND (645 USD) in cash and up to 300 million VND (12,900 USD) in loans. Four consolidation prizes each worth 10 million VND (430 USD) and a maximum loan of 200 million VND (8,600 USD) were also awarded.